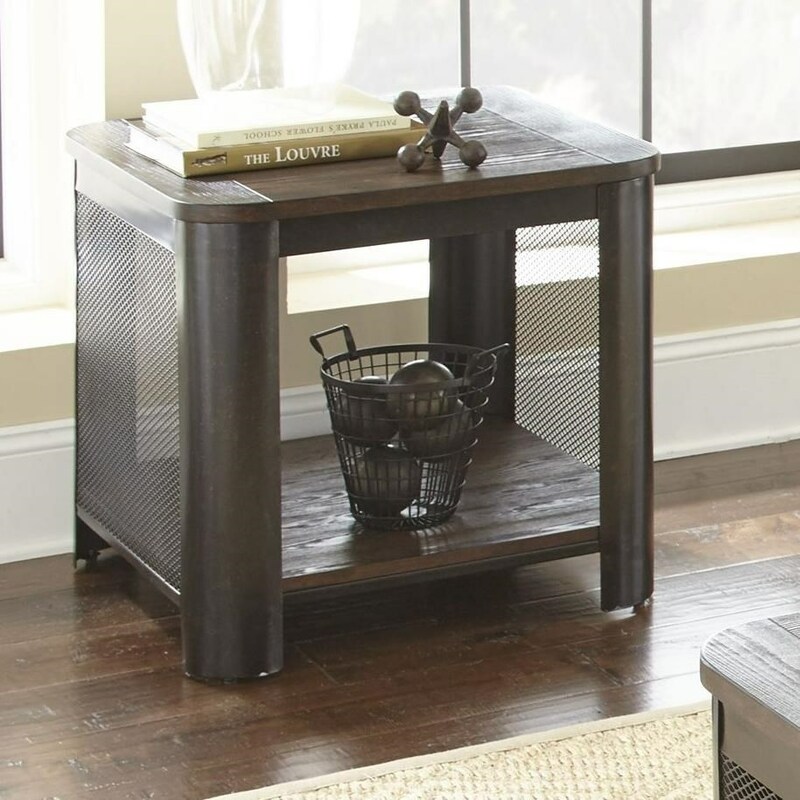 Featuring wire mesh ends and a plank-effect wood top, this end table exudes rustic industrial style. One shelf provides ample display space, while the wire-brushed mocha finish brings warm tones to any space. The Barrow End Table with Wire Mesh Sides by Steve Silver at Sam Levitz Furniture in the Tucson, Oro Valley, Marana, Vail, and Green Valley, AZ area. Product availability may vary. Contact us for the most current availability on this product. Browse other items in the Barrow collection from Sam Levitz Furniture in the Tucson, Oro Valley, Marana, Vail, and Green Valley, AZ area.